Which Child Restraint, Which Child, Which Brand? Walk into any baby shop and you will be gobsmacked by the choice of child restraints that are available to families, choosing the right child restraints can be very tricky and potentially expensive. 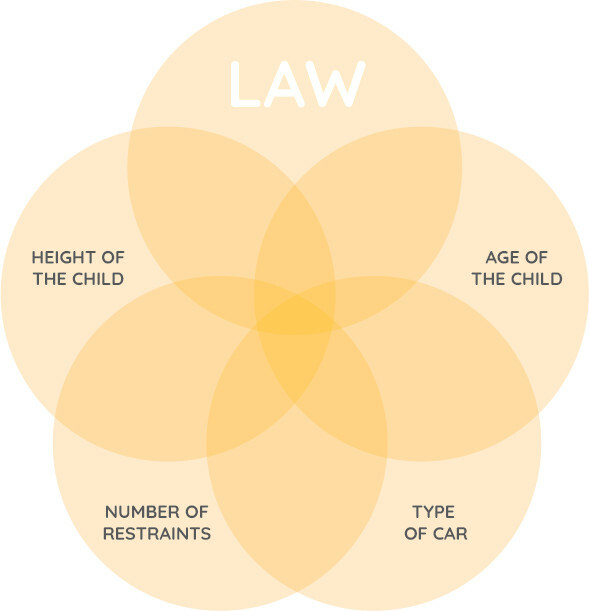 And what is just important, is to understand that when you are choosing a child restraint, that it’s not just about the child, it is also the car, and your family! Essentially, babies must be rearward facing until minimum 6 months of age, then in a child restraint with an internal harness until a minimum 4 years, and then boosted or harnessed until a minimum of 7 years. The Law also says to follow the manufacturer’s instructions on the use of child restraints – which means that even though the law say – babies can go forward facing at 6 months – the child restraint might not allow you to do so…. Booster after 7 until they can transition to no restraint. See our 5 Step Test Infographic here. Manufacturer’s have made it easier for parents to understand the next stage to move your child. Remember it’s NOW always Height! Child restraint manufacturers need to meet mandatory standards in order for the seats to be sold. These cover design and construction, performance (crash testing), instructions and packaging. The Product Safety Australia website defines the main categories of child restraints covered under the mandatory standard: types A to G, and type AB. All child restraints must go through simulated impact testing in order to be sold in Australia, and should therefore be safe. 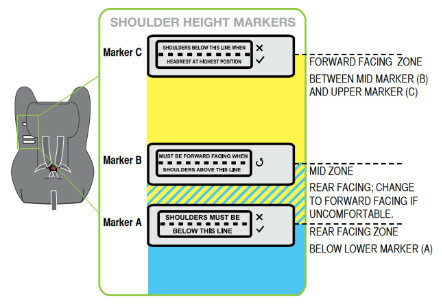 Different child restraints have different features and coming in a number of options – but whether you buy the least expensive, to most expensive, they will perform to the National Standards. We are more interested in how they fit in your car, and that they are the right type of child restraints for your child. This is a personal preference. Depending on your budget and other considerations a carrier allows parents greater mobility during sleep times and very handy for those initial first months where the baby is small and they fit more snuggly in a capsule. Obviously we encourage the use of capsules, but again this is a customer choice. This is very useful if there are older siblings with commitments such as school or activities. Capsules and carriers can be rented for about 1/3 the cost of buying, and this saves both money and storage space. Start with a capsule for the first 3-6 months (buy or hire). Move to harnessed child restraint to the age of 8, or beyond (until they outgrow their seat). Always buy new – don’t risk buying second hand – your child is too precious to get this wrong. Read more here. This is the trickiest component, this is where you probably best to speak to a Professional Restraint Fitter, we can provide valuable advice on this area, we really need to understand your car, the ages of the children and work out the best solution. We have helped hundreds of families get this right, and potentially save them buying a new car. Believe it or not, different child restraints fit differently into cars, back seats are all very different and this is a major consideration when selecting these child restraints. Road test different seats in different combinations. Our experienced fitters will tell you every car is different and every child restraint is different, and this is a major issue when buying child restraints! Do you know how big your family will be? How many and where are your anchor points? How practical is third row access? Will your restraints need to come in and out of the car? All of these issues will affect your choice of child restraints, and are why good advice really is priceless at this point.